As the first signs of spring begin to peek through, it’s time to start tackling some much needed deep cleaning. Here are some tips to help save and make money during your spring cleaning. Chances are that you have multiples of everyday household items sitting around your house. Making lists of what you have will help prevent spending additional money on buying more of these items. 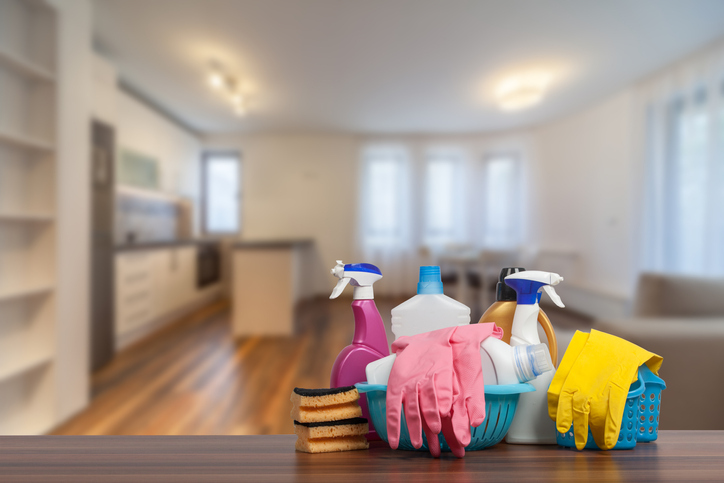 There are a few household items that you may already have sitting around that can be used as cleaning supplies. For example white vinegar is a non-toxic option to get rid of grease and bad smells. Instead of paper towels, try using rags or old t-shirts. Not only will this help save you money, it’s also better for the environment. For bigger tasks, such as cleaning the carpet, look into renting equipment to be used for these chores. If a friend or family member has something you could use, reach out to them and ask if you can borrow them. Just remember to thank them and be willing to return the favor if they ask to borrow something from you. Holding a garage sale is great way to make some money while cleaning out your house. For tips on holding a great garage sale, click HERE. There are so many options to sell your new and slightly used clothing without leaving your house. Take to social media and put the offer out to friends and family. If no one is interested, turn to the classified pages.